It is famous for its rich traditions and wealth. The wall paintings and decorations are very attractive. The church is also famous as the intercession of the saint, St. George is said to be very powerful and that many have received favors from God due to this. 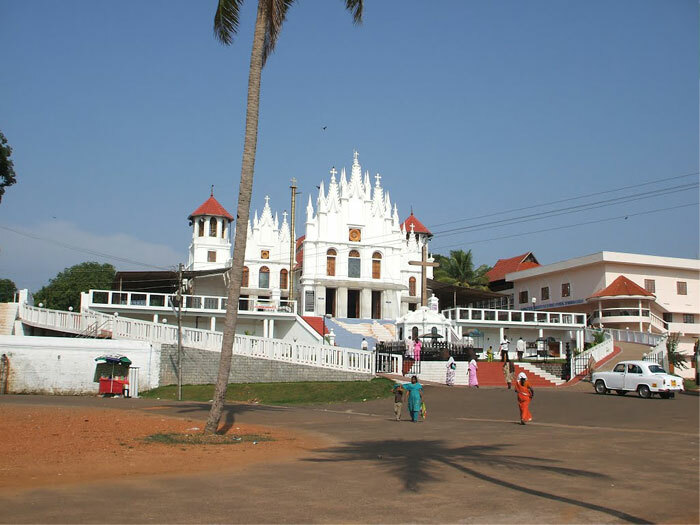 There is a Golden Cross in this church that is taken out for procession during the annual festival called as Puthupally Perunnal or the Feast of St. George. The church is visited by thousands especially during the Feast of St. George which is held on the 6th and 7th of May. The church has got some specialties which include a granite corss, bronze cross, bell towers etc. The granite cross which is artistically carved is kept in front of the church and its base has 84 wick slots that represents the 12 Apostles and 72 messengers. Puthuppally cross is a unique cross which is made of bronze and is said to be as old as the church. The base of this cross is in the shape of a turtle. Two bell towers, one is an old bell whose sound is audible at a distance of 15 kms and another is a new bell which weighs 1105 kgs.